Background Lumbosacral transitional vertebrae (LSTV) are increasingly recognized as a common anatomical variant associated with altered patterns of degenerative spine changes. This review will focus on the clinical significance of LSTV, disruptions in normal spine biomechanics, imaging techniques, diagnosis, and treatment. Methods A Pubmed search using the specific key words “LSTV,” “lumbosacral transitional vertebrae,” and “Bertolotti's Syndrome” was performed. The resulting group of manuscripts from our search was evaluated. Results LSTV are associated with alterations in biomechanics and anatomy of spinal and paraspinal structures, which have important implications on surgical approaches and techniques. LSTV are often inaccurately detected and classified on standard AP radiographs and MRI. The use of whole-spine images as well as geometric relationships between the sacrum and lumbar vertebra increase accuracy. Uncertainty regarding the cause, clinical significance, and treatment of LSTV persists. Some authors suggest an association between LSTV types II and IV and low back pain. Pseudoarticulation between the transverse process and the sacrum creates a “false joint” susceptible to arthritic changes and osteophyte formation potentially leading to nerve root entrapment. The diagnosis of symptomatic LSTV is considered with appropriate patient history, imaging studies, and diagnostic injections. A positive radionuclide study along with a positive effect from a local injection helps distinguish the transitional vertebra as a significant pain source. Surgical resection is reserved for a subgroup of LSTV patients who fail conservative treatment and whose pain is definitively attributed to the anomalous pseudoarticulation. Conclusions Due to the common finding of low back pain and the wide prevalence of LSTV in the general population, it is essential to differentiate between symptoms originating from an anomalous psuedoarticulation from other potential sources of low back pain. Further studies with larger sample sizes and longer follow-up time would better demonstrate the effectiveness of surgical resection and help guide treatment. The disc height below a lumbosacral segment is significantly decreased in LSTV types II, III, and IV.18, 19 The presence of a bilateral boney fusion decreases disc height more severely compared to segments with potential for motion (unilateral fusion). The common finding of a narrowed L5-S1 intervertebral disc associated with an LSTV should not be considered disk degeneration or displacement.19 In addition, the sagittal alignment is most commonly neutral, unlike the typical lordotic L5-S1 disc. (2004) Imaging of lumbosacral transitional vertebrae. Clinical radiology. 59(11):984–91. (2013) Redefining lumbosacral transitional vertebrae (LSTV) classification: integrating the full spectrum of morphological alterations in a biomechanical continuum. Medical hypotheses. 81(1):76–81. (2010) Lumbosacral transitional vertebrae: classification, imaging findings, and clinical relevance. AJNR American journal of neuroradiology. 31(10):1778–86. (2013) Complexity of neutral zones, lumbar stability and subsystem adaptations: probable alterations in lumbosacral transitional vertebrae (LSTV) subtypes. Medical hypotheses. 80(1):61–4. (2013) Numeric and morphological verification of lumbosacral segments in 8280 consecutive patients. Spine. 38(10):E573–8. (1984) Lumbosacral transitional vertebrae and their relationship with lumbar extradural defects. Spine. 9(5):493–5. (2011) The prevalence of transitional vertebrae in the lumbar spine. The spine journal: official journal of the North American Spine Society. 11(9):858–62. (2014) Lumbosacral transitional vertebra in a population-based study of 5860 individuals: Prevalence and relationship to low back pain. European journal of radiology. 83(9):1679–82. (2012) Lumbosacral transitional vertebrae: association with low back pain. Radiology. 265(2):497–503. (2013) Developmental malformations in the area of the lumbosacral transitional vertebrae and sacrum: differences in gender and left/right distribution. Surgical and radiologic anatomy: SRA. (2011) Relationship of sacral articular surfaces and gender with occurrence of lumbosacral transitional vertebrae. The spine journal: official journal of the North American Spine Society. 11(10):961–5. (1977) The transitional vertebra of the lumbosacral spine: its radiological classification, incidence, prevalence, and clinical significance. Rheumatology and rehabilitation. 16(3):180–5. (2010) Morphological traits in sacra associated with complete and partial lumbarization of first sacral segment. The spine journal: official journal of the North American Spine Society. 10(10):910–5. (2011) Pedicular anatomy of the first sacral segment in transitional variations of the lumbo-sacral junction. Spine. 36(18):E1187–92. (2013) Pars inter-articularis and laminar morphology of the terminal lumbar vertebra in lumbosacral transitional variations. North American journal of medical sciences. 5(6):357–61. (2013) Trabecular bone structure in lumbosacral transitional vertebrae: distribution and densities across sagittal vertebral body segments. The spine journal: official journal of the North American Spine Society. 13(8):932–7. (2011) Facet dimensions, orientation, and symmetry at L5-S1 junction in lumbosacral transitional States. Spine. 36(9):E569–73. (2004) Lumbosacral transitional vertebra: relation to disc degeneration and low back pain. Spine. 29(2):200–5. (2000) Lumbosacral transitional segments: classification, prevalence, and effect on disk height. Journal of manipulative and physiological therapeutics. 23(7):483–9. (2005) Intervertebral disc degeneration associated with lumbosacral transitional vertebrae: a clinical and anatomical study. The Journal of bone and joint surgery British volume. 87(5):687–91. (2013) The termination level of the conus medullaris and lumbosacral transitional vertebrae. Journal of orthopaedic science: official journal of the Japanese Orthopaedic Association. 18(6):878–84. (1980) Variation of the lumbosacral myotomes with bony segmental anomalies. The Journal of bone and joint surgery British volume. 62-b(4):475–80. (2004) Altered function of lumbar nerve roots in patients with transitional lumbosacral vertebrae. Spine 29(15):1632–5, discussion 5. (2008) Dermatome variation of lumbosacral nerve roots in patients with transitional lumbosacral vertebrae. Anesthesia and analgesia 106(4):1279–83, table of contents. (2010) Segmental innervation in lumbosacral transitional vertebrae (LSTV): a comparative clinical and intraoperative EMG study. Journal of neurology, neurosurgery, and psychiatry. 81(7):734–41. (1997) Dermatome variations in patients with transitional vertebrae. Journal of neurology, neurosurgery, and psychiatry. 63(6):801–3. (2012) Lumbarized sacrum as a relative contraindication for lateral transpsoas interbody fusion at L5-6. Journal of spinal disorders & techniques. 25(5):285–91. (2001) Vascular anatomy anterior to lumbosacral transitional vertebrae and implications for anterior lumbar interbody fusion. The spine journal: official journal of the North American Spine Society. 1(6):442–4. (2006) Bertolotti's syndrome. A cause of back pain in young people. The Journal of bone and joint surgery British volume. 88(9):1183–6. (1999) Lumbosacral transitional vertebrae and low back pain. Bulletin (Hospital for Joint Diseases (New York, NY)) 58(4):191–3. (2005) A cross-sectional study comparing pain and disability levels in patients with low back pain with and without transitional lumbosacral vertebrae. Journal of manipulative and physiological therapeutics. 28(8):570–4. (2001) Lumbosacral transitional vertebrae and nerve-root symptoms. The Journal of bone and joint surgery British volume. 83(8):1137–40. (2009) Evaluation of congenital lumbosacral malformations and neurological findings in patients with low back pain. Turkish neurosurgery. 19(2):145–8. 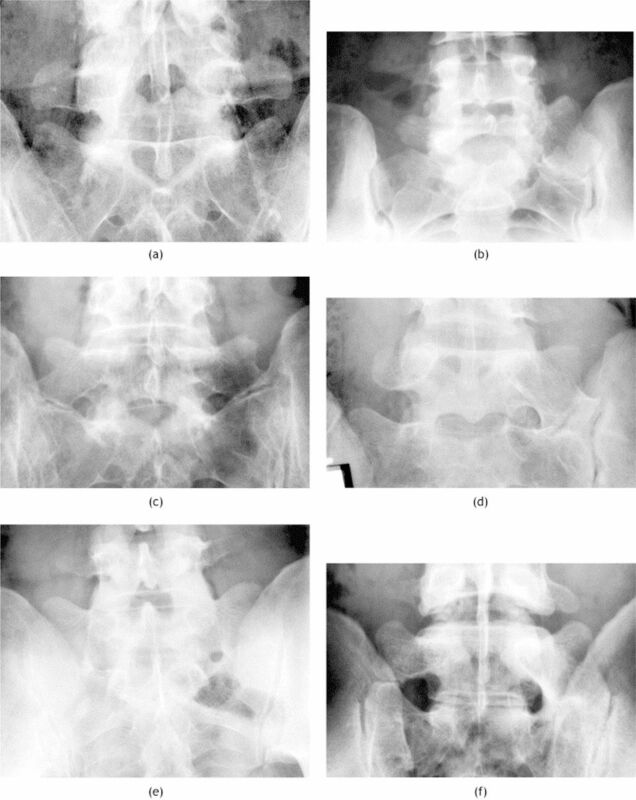 (2005) Clinical significance of congenital lumbosacral malformations in young male population with prolonged low back pain. Spine. 30(8):E210–3. (2012) Low back complaints worse, but not more frequent in subjects with congenital lumbosacral malformations: a study on 5000 recruits. Acta orthopaedica Belgica. 78(5):668–71. Contributo alla conoscenza dei vizi di differenziazione regionale del rachide con speciale riguardo all assimilazione sacrale della v. lombare. Radiologiqu Medica 1917(4):113–44. (1989) Bertolotti's syndrome revisited. Transitional vertebrae of the lumbar spine. Spine. 14(12):1373–7. (1999) Can an anomalous lumbo-sacral or lumbo-iliac articulation cause low back pain? A retrospective study of 12 cases. Revue du rhumatisme (English ed) 66(1):35–9. (2006) [The relationship between lumbosacral transitional vertebra and the lumbar disc herniation]. Zhonghua wai ke za zhi [Chinese journal of surgery] 44(8):556–8. (2014) Lumbosacral transition vertebra: prevalence and its significance. Asian spine journal. 8(1):51–8. (1997) Distribution and incidence of degenerative spine changes in patients with a lumbo-sacral transitional vertebra. European spine journal: official publication of the European Spine Society, the European Spinal Deformity Society, and the European Section of the Cervical Spine Research Society. 6(3):168–72. (1980) The thoracolumbar and lumbosacral transitional junctions. Spine. 5(3):215–22. (2013) Interreader and intermodality reliability of standard anteroposterior radiograph and magnetic resonance imaging in detection and classification of lumbosacral transitional vertebra. The spine journal: official journal of the North American Spine Society. (1997) Predisposing factors in degenerative spondylolisthesis. A radiographic and CT study. International orthopaedics. 21(5):337–42. 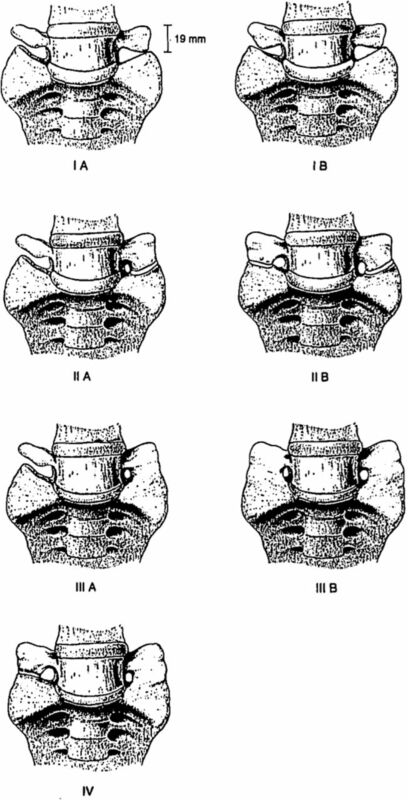 (1997) The role of transitional vertebrae in spondylolysis and spondylolytic spondylolisthesis. Bulletin (Hospital for Joint Diseases (New York, NY)) 56(3):161–6. (2012) Lumbosacral transitional vertebrae: variations in low back structure, biomechanics, and stress patterns. Journal of chiropractic medicine. 11(2):134–5. (2001) Partial lumbosacral transitional vertebra resection for contralateral facetogenic pain. Spine. 26(2):226–9. (2012) Prediction of transitional lumbosacral anatomy on magnetic resonance imaging of the lumbar spine. World journal of radiology. 4(3):97–101. (2003) Skeletal scintigraphy of young patients with low-back pain and a lumbosacral transitional vertebra. Journal of nuclear medicine: official publication, Society of Nuclear Medicine. 44(6):909–14. (2010) Transitional lumbosacral segment with unilateral transverse process anomaly (Castellvi type 2A) resulting in extraforaminal impingement of the spinal nerve: a pathoanatomical study of four specimens and report of two clinical cases. Neurosurgical review. 34(2):143–50. (1997) Anterior decompression of foraminal stenosis below a lumbosacral transitional vertebra. A case report. Spine. 22(7):823–6. (2004) The treatment of far-out foraminal stenosis below a lumbosacral transitional vertebra: a report of two cases. Journal of spinal disorders & techniques. 17(2):154–7. (2014) Prevalence of extraforaminal nerve root compression below lumbosacral transitional vertebrae. Skeletal radiology. 43(1):55–60. (2014) Are spinal or paraspinal anatomic markers helpful for vertebral numbering and diagnosing lumbosacral transitional vertebrae? Korean journal of radiology: official journal of the Korean Radiological Society. 15(2):258–66. (1996) Variations in morphology of the lumbosacral junction on sagittal MRI: correlation with plain radiography. Skeletal radiology. 25(3):225–30. (1993) Magnetic resonance appearances of developmental disc anomalies in the lumbar spine. Australasian radiology. 37(1):26–9. (2011) Effect of spinal segment variants on numbering vertebral levels at lumbar MR imaging. Radiology. 259(1):196–202. (2013) A reliable measurement for identifying a lumbosacral transitional vertebra with a solid bony bridge on a single-slice midsagittal MRI or plain lateral radiograph. The bone & joint journal. 95-b(11):1533–7. 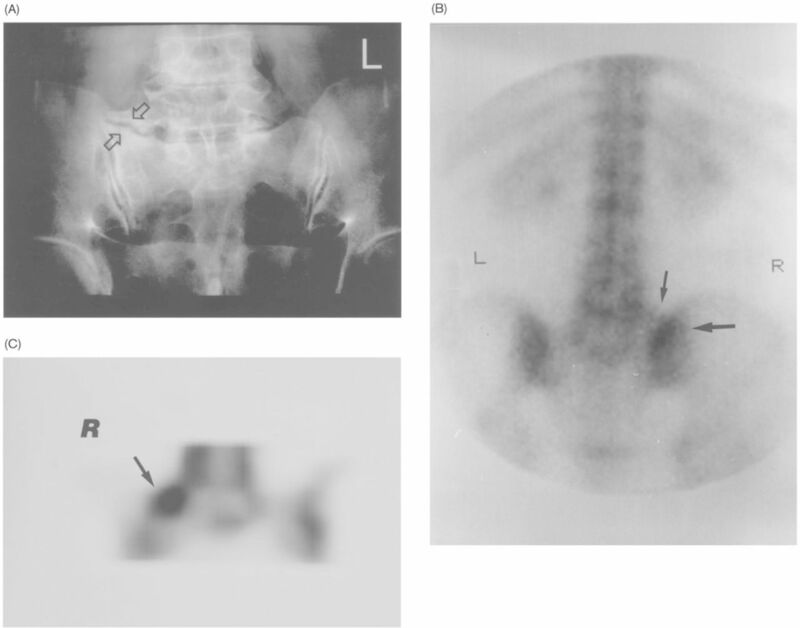 (2006) Using magnetic resonance imaging to identify the lumbosacral segment in children. Collegium antropologicum. 30(1):55–8. (2007) Identification and prediction of transitional vertebrae on imaging studies: anatomical significance of paraspinal structures. Clinical anatomy (New York, NY) 20(8):905–14. (2006) Numbering of lumbosacral transitional vertebrae on MRI: role of the iliolumbar ligaments. AJR American journal of roentgenology. 187(1):W59–65. (2007) Numbering of lumbosacral transitional vertebrae on MRI. AJR American journal of roentgenology 188(2):W210, author reply W1. (2008) Minimally invasive surgical treatment of Bertolotti's Syndrome: case report. Neurosurgery 62(5 Suppl 2), ONSE454-5; discussion ONSE6. 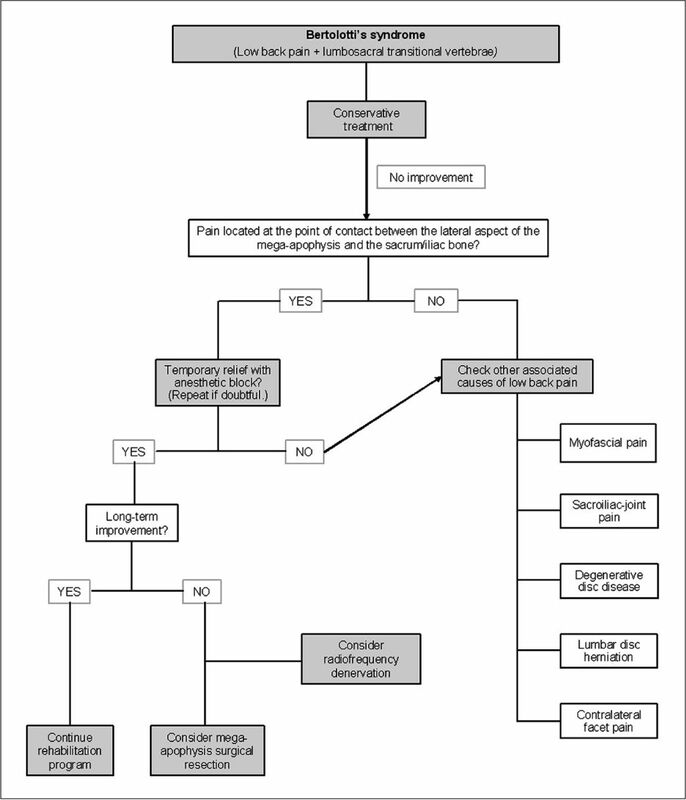 (2014) Minimally invasive tubular resection of the anomalous transverse process in patients with Bertolotti's syndrome: presented at the 2013 Joint Spine Section Meeting: clinical article. Journal of neurosurgery Spine. 20(3):283–90. (2009) Transitional lumbosacral vertebrae and low back pain: diagnostic pitfalls and management of Bertolotti's syndrome. Arquivos de neuro-psiquiatria. 67(2a):268–72. (2012) Partial lumbosacral transitional vertebrae: 2 cases of unilateral sacralization. Journal of chiropractic medicine. 11(2):77–83. (2012) Chiropractic management of a patient with low back pain and Castellvi type II lumbosacral transitional vertebrae. Journal of chiropractic medicine. 11(4):254–9. (2005) Use of lumbosacral region manipulation and therapeutic exercises for a patient with a lumbosacral transitional vertebra and low back pain. The Journal of orthopaedic and sports physical therapy. 35(6):368–76. (2007) Lumbar intervertebral instability: a review. Radiology. 245(1):62–77. (2008) Randomised controlled trial of Alexander technique lessons, exercise, and massage (ATEAM) for chronic and recurrent back pain. British journal of sports medicine. 42(12):965–8. (2015) Effects of Pilates exercise programs in people with chronic low back pain: a systematic review. Medicine. 94(4):e383. (2010) Radiofrequency sensory ablation as a treatment for symptomatic unilateral lumbosacral junction pseudarticulation (Bertolotti's syndrome): a case report. Pain medicine (Malden, Mass) 11(6):853–5. 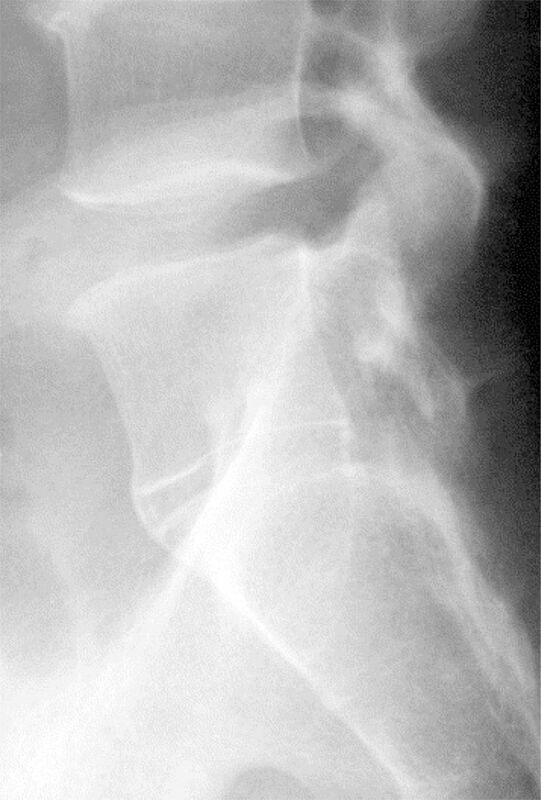 (2004) A case of severe low back pain associated with Richard disease (lumbosacral transitional vertebra). Minimally invasive neurosurgery: MIN. 47(4):253–5. (2009) Bertolotti's syndrome: a case report. Pain practice: the official journal of World Institute of Pain. 9(2):152–4. (1991) Infiltration of anomalous lumbosacral articulations. Steroid and anesthetic injections in 10 back-pain patients. Acta orthopaedica Scandinavica. 62(2):139–41. (2004) Lumbosacral transitional vertebral articulation: evaluation by planar and SPECT bone scintigraphy. Nuclear medicine communications. 25(1):29–37. (1989) Anomalous lumbosacral articulations and low-back pain. Evaluation and treatment. Spine. 14(8):831–4. (1993) Surgical treatment of Bertolotti's syndrome. Followup of 16 patients. Archives of orthopaedic and trauma surgery 112(2):82–7. 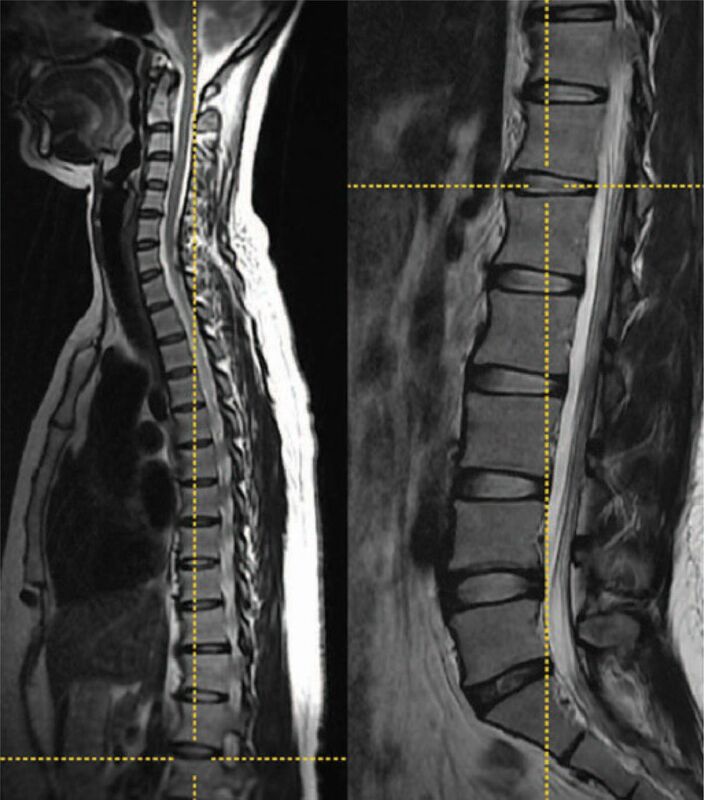 (2013) Anterior decompression for far-out syndrome below a transitional vertebra: a report of two cases. The spine journal: official journal of the North American Spine Society. 13(8):e21–5. (2011) Posterior decompression of far-out foraminal stenosis caused by a lumbosacral transitional vertebra--case report. Neurologia medico-chirurgica. 51(2):153–6. (2011) Unsuspected reason for sciatica in Bertolotti's syndrome. The Journal of bone and joint surgery British volume. 93(5):705–7. (2012) Differentiation between symptomatic and asymptomatic extraforaminal stenosis in lumbosacral transitional vertebra: role of three-dimensional magnetic resonance lumbosacral radiculography. Korean journal of radiology: official journal of the Korean Radiological Society. 13(4):403–11.